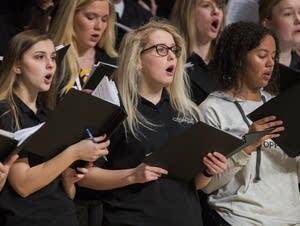 Don't miss our SPCO Spotlight every Friday at 11 a.m. 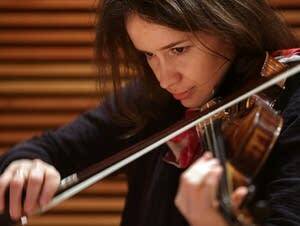 Experience amazing performances by The Saint Paul Chamber Orchestra at Ordway Concert Hall, recorded by Classical MPR. Discover great music as you browse through more than 250 recordings of the SPCO recorded by Classical MPR. 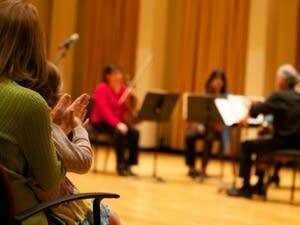 This weekend the Saint Paul Chamber Orchestra presents a free event for families called Spirited Strings, in which storytelling and music go hand in hand. Hear the violin, viola and cello in a new version of 'Goldilocks and the Three Bears.' Crafts, games and other activities will be available, too. 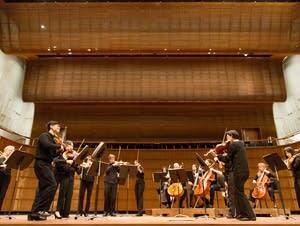 In recent years, the musicians of the Saint Paul Chamber Orchestra have tackled many new challenges. 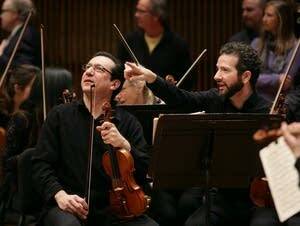 To recognize their efforts, the orchestra will hold a Musician Appreciation Concert on Thursday night, featuring the orchestra's artistic director and principal violin, Kyu-Young Kim. 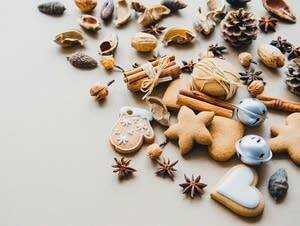 A day-by-day guide to all of our special holiday programming for the 2018 season. 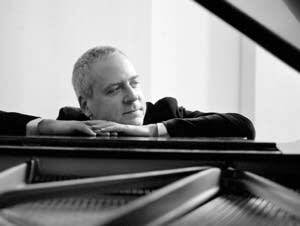 Jeremy Denk plays one of his favorite pieces, Beethoven's 'Emperor Concerto,' this weekend with the Saint Paul Chamber Orchestra. Find out why the pianist loves the work so much and hear his performance Saturday night during Classical MPR's live broadcast of the SPCO's season-opening concert. From Bach to Beat Box is an ambitious project that involves tossing the music of J.S. 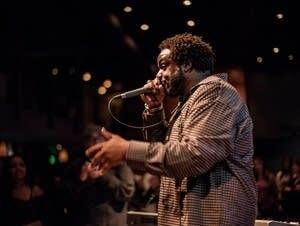 Bach into a hungry arena of performers, including rapper Terrell Woods (aka Carnage the Executioner), folk-classical string duo the OK Factor, and the classically trained jazz pianist Samuel Rosenstone. 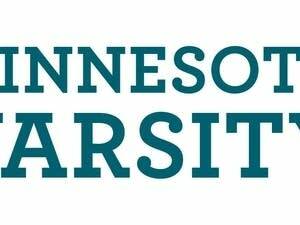 It's the latest creation of Mischa Santora's Minneapolis Music Company. 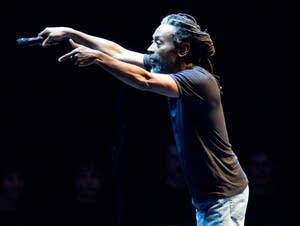 For the first time since 2014, much-beloved former Saint Paul Chamber Orchestra artistic partner and international pop star Bobby McFerrin returns to Minnesota with his ensemble Voicestra for eight performances at the Dakota in Minneapolis. 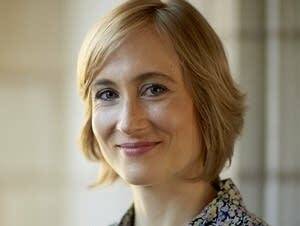 This Saturday at 8 p.m., join Alison Young on Classical MPR for our live broadcast of the Saint Paul Chamber Orchestra, featuring compositions by American composer Hannah Lash, Igor Stravinsky and more. 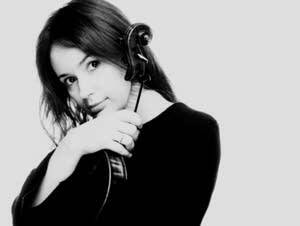 The Saint Paul Chamber Orchestra performed with artistic partner Patricia Kopatchinskaja in a program that explored the mystery behind various incomplete musical fragments as well as music from their Grammy-winning album, Schubert's 'Death and the Maiden' Quartet. Here's a calendar with all of the Voices of Spring programming for April. 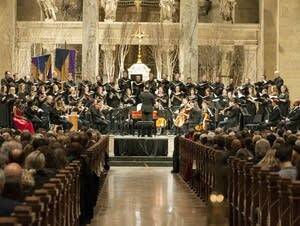 Join Alison Young in celebrating Easter with the Saint Paul Chamber Orchestra's performance of Handel's 'Messiah,' a piece who's message continues to resonate nearly 300 years later. 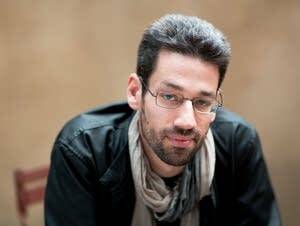 Pianist Jonathan Biss is back in St. Paul for a sort of Beethoven banquet with the Saint Paul Chamber Orchestra, with four concerts that begin Thursday and culminate Saturday night with a live broadcast on Classical Minnesota Public Radio. Besides the Saint Paul Chamber Orchestra's win for best chamber/small ensemble performance, here are the other 2018 Grammy winners for classical-related recordings, as presented Sunday by the Recording Academy. 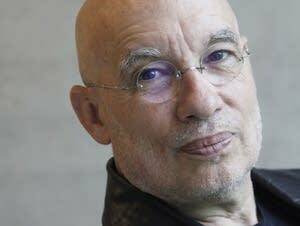 Conductor Dennis Russell Davies challenges the definition of what you might think of as old and new music on his new recording, 'Now, and Then.' 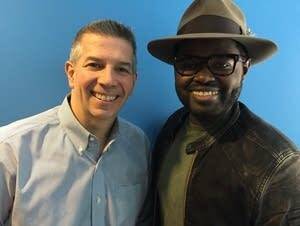 Be sure to check out the extended podcast to hear him talk about his stint with the Saint Paul Chamber Orchestra and his friendship with composer Aaron Copland. 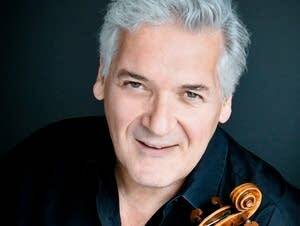 Pinchas Zukerman, the former conductor of the Saint Paul Chamber Orchestra, will fill in on a U.S. tour for renowned conductor Charles Dutoit, who's facing sexual assault allegations that span decades, according to the New York Times. 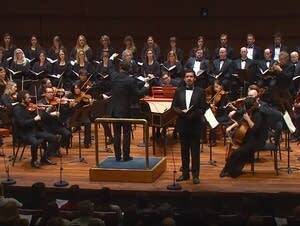 A number of seasons ago the SPCO hired countertenor John Holiday for its annual 'Messiah' performances. He's back. Holiday joins Steve Staruch in the studio.